In spring 2013, the Bureau of Alcohol, Tobacco, Firearms, and Explosives (ATF) needed to track and apprehend major targeted offenders in Weakley County, Tennessee. They asked the county 911 department to assist in creating GIS-based intelligence packages to be used as a critical tool for this job. 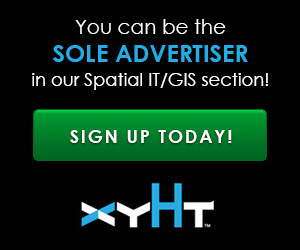 This request, plus an increased demand for more data to complete the packages, resulted in Weakley County 911 partnering with the geospatial consulting services company, Atlantic, to help determine what valuable information may or may not be embedded in their lidar dataset. 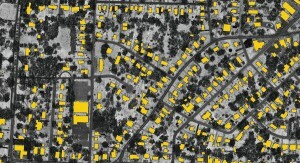 Atlantic was specifically contracted to perform building classification and extraction of building footprints from the new USDA-NRCS lidar point data for locations throughout eight counties in northwest Tennessee. 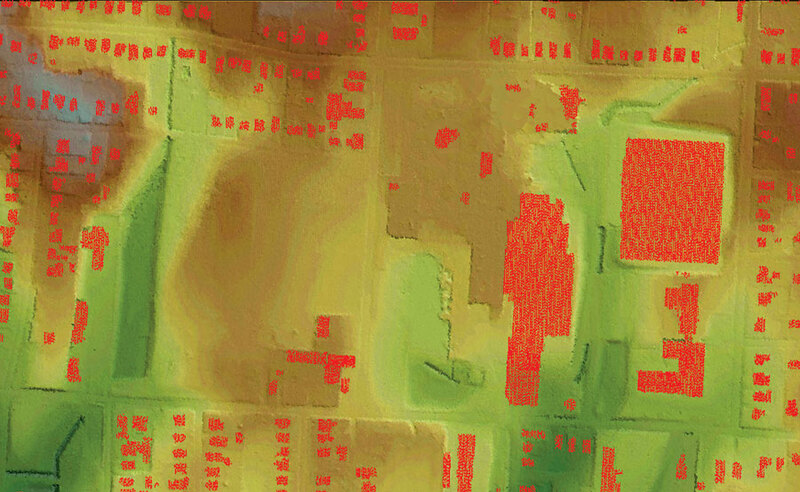 Weakley County asked Atlantic to develop an innovative approach to extract specific data from existing lidar data, all without the assistance of a traditional image basemap. 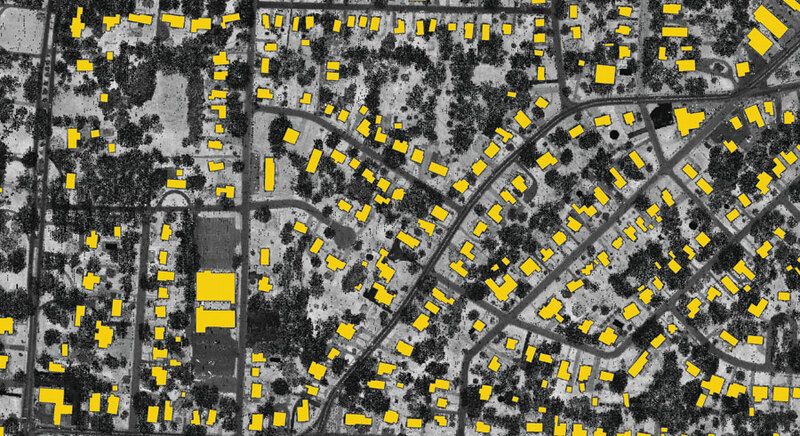 In order to meet these requests, Atlantic created a customized algorithmic lidar classification and extraction scheme that was, by necessity, low on manual effort and high in accuracy. These customized routines thinned down the massive lidar dataset, isolating sharp-edged, uniform elevation point clusters, specific echos, and intensity values in the lidar. Individual lidar points were classified as buildings prior to the vector extraction process to create the building outlines. Atlantic developed new scripting tools within GeoCue, TerraScan, LP360, and ArcGIS to develop a dataset that was met with a first-time right acceptance from Weakley County 911. By creating custom scripts and using a unique approach, we eliminated some of the problems associated with other methods of automating feature extraction from lidar. The resultant building footprints have the detail, sharpness, and appearance of a photogrammetrically derived feature class that was manually drawn. Our process provided the same quality data at a fraction of the cost and helped Weakley County 911 maximize their ROI from this new lidar dataset. Due to the sensitive law enforcement nature, Weakley County was unable to share the specific operational aspects for which the data was being derived. Nevertheless, the team proceeded and aligned with the County 911’s GIS specialist to assist and propose lidar derivative options that would enhance the intelligence packages. A total of 9,020 LAS tiles were supplied, of which 2,822 tiles were selected to be classified based on an eight county-wide tile index. Atlantic classified and extracted 25,245 buildings that proved to be critical to Weakley County 911 and the ATF. How did building extraction play a vital role in assisting a high-priority situation? The answer came on March 25, 2014. There was a buzz of law enforcement activity in four counties of northwestern Tennessee in the wee hours of this otherwise calm Tuesday morning. What originally began as a planned effort between the Martin Police Department and the ATF had expanded to include the FBI, DEA, Secret Service, U.S. Marshals, Tennessee Bureau of Investigation, as well as several state and local police and SWAT agencies. Each of the 25 tactical teams received an intelligence package for their respective targets. At 6:00 a.m., more than 100 federal, state, and local law enforcement units executed over 40 search and arrest warrants simultaneously. The coordinated raids were a success, capturing 90% of their targets in less than four hours. Forty-five indictments and grand jury warrants were served. 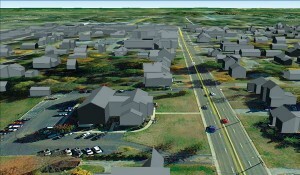 Atlantic extruded the 3D buildings using a combination of the final footprints and lidar point cloud. The 3D buildings delivered in a Google Earth mash-up make for easy use by law enforcement officials without a GIS background. The key to this effort came from the intelligence packages. What began with simple address mapping ended up becoming incredibly detailed and complex. The team ended up incorporating quickly accessible data that anyone with boots on the ground could turn to in order to effectively (and most importantly, safely) pull off such a large effort. 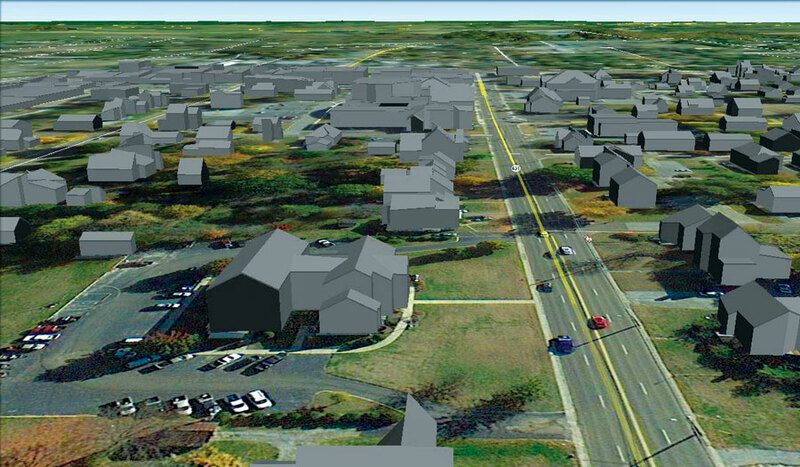 Since that March 25 sting, Weakley and Atlantic have further partnered to share the results of their effort to encourage other communities with access to this same off-the-shelf lidar data in northwest Tennessee. They use this collaboration as a perfect case study to demonstrate how tactical GIS can bring about big results. 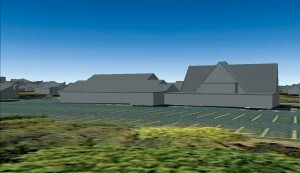 Individual 3D building detail overlaid on Google Earth. This type of perspective is key to situational awareness for the law enforcement teams prior to their coordinated raids. Since the busts, the District has planned and executed additional raids using GIS and has educated other agencies about the benefits of using technology to enhance their abilities in the field. 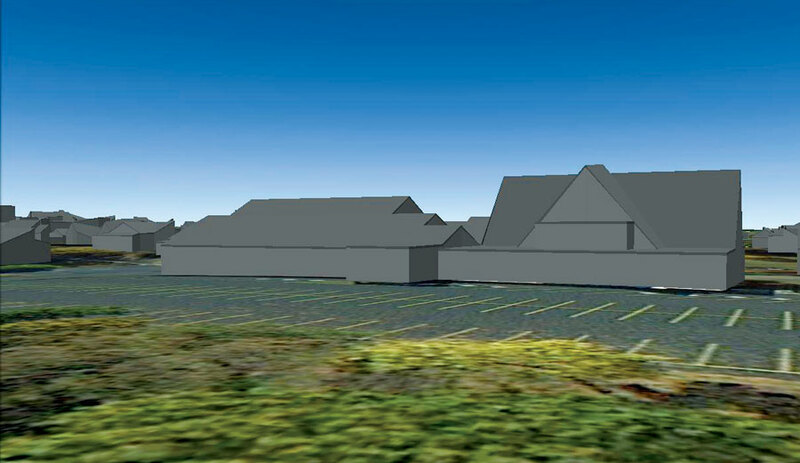 Furthermore, the techniques developed for this project have given other clients in the region and beyond confidence in creating traditional photogrammetric mapping products from a non-traditional basemap. This project received the 2014 MAPPS Awards for Excellence in the small project category. Kimberley Denney is associate vice president at Atlantic. Justin Henderson is a geospatial project manager at Atlantic.